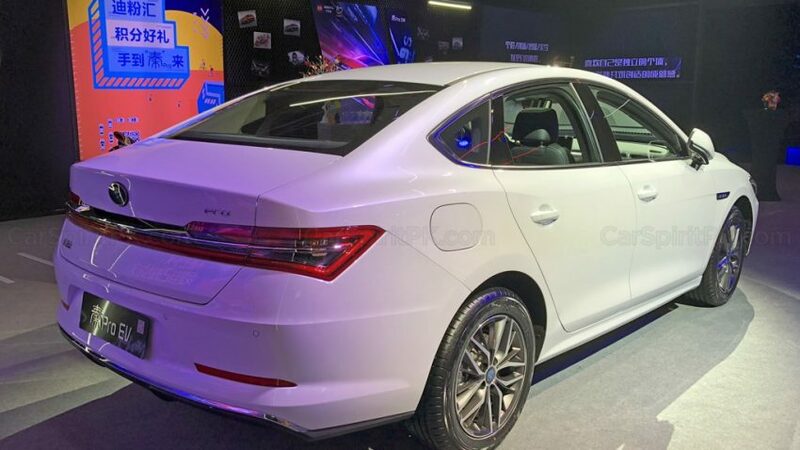 The all new 2018 BYD Qin Pro made its debut at the Beijing Auto Show in April earlier this year. 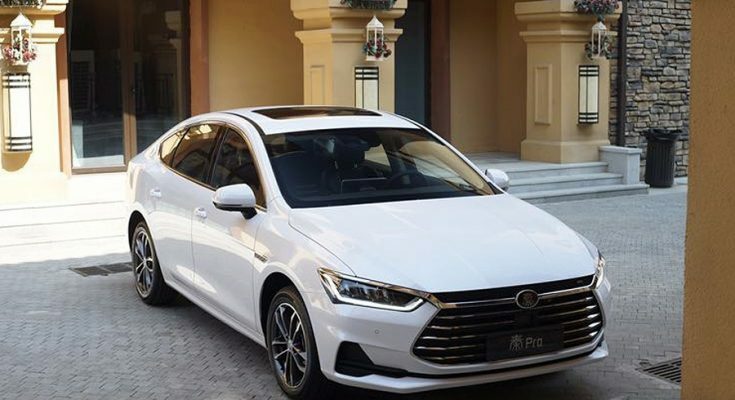 Available in ICE (internal combustion engine), PHEV (plug-in hybrid electric vehicle) and all-electric EV versions, the Qin Pro was officially launched in Chinese car market on the 20th of September 2018. The car is named after China’s first empire, the Qin Dynasty. BYD Qin is the successor of the BYD F3DM, the world’s first mass-produced plug-in hybrid automobile, which was launched in China back in 2008. 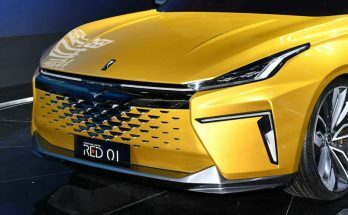 The new Qin gets BYD’s new ‘Dragon Face’ that can also be seen on the Song Max MPV and the upcoming Tang SUV. 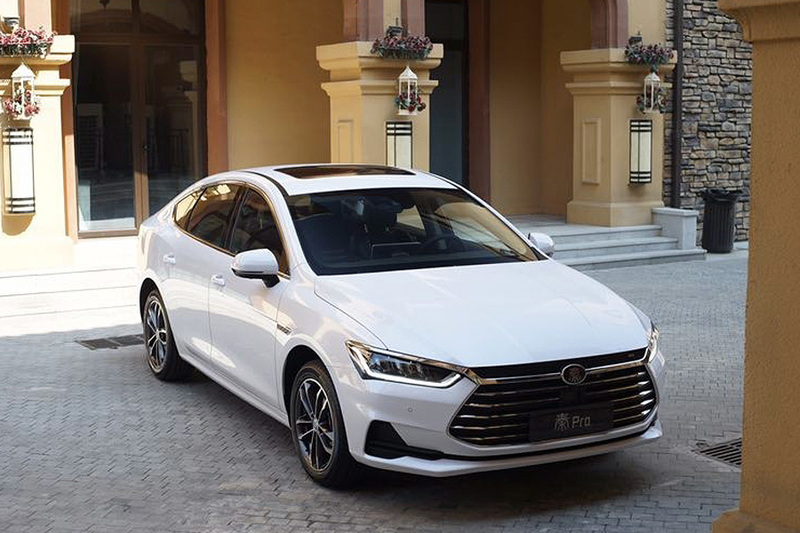 The overall design language is very clean & professional, thanks to Wolfgang Egger, the former Audi designer who now heads BYD as Director Design and Development. 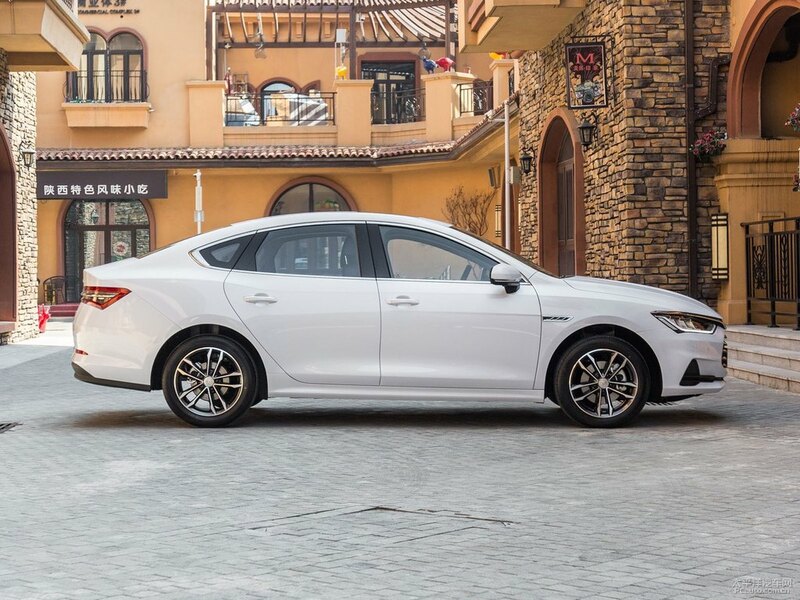 Qin Pro sedans has a very attractive design language with smooth sidelines having waistlines stretching from its front fender to its rear end, enhancing the model’s masculinity. 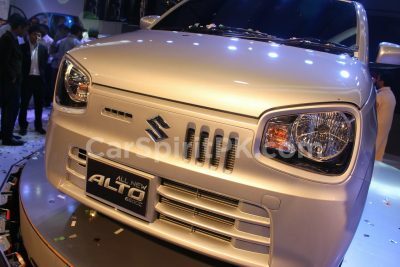 The different versions (ICE, EV & PHEV) will be differentiated with minor design details such as different grill, bumpers and fog lamp housing. The black colored interior with silver accents is simple yet elegant. 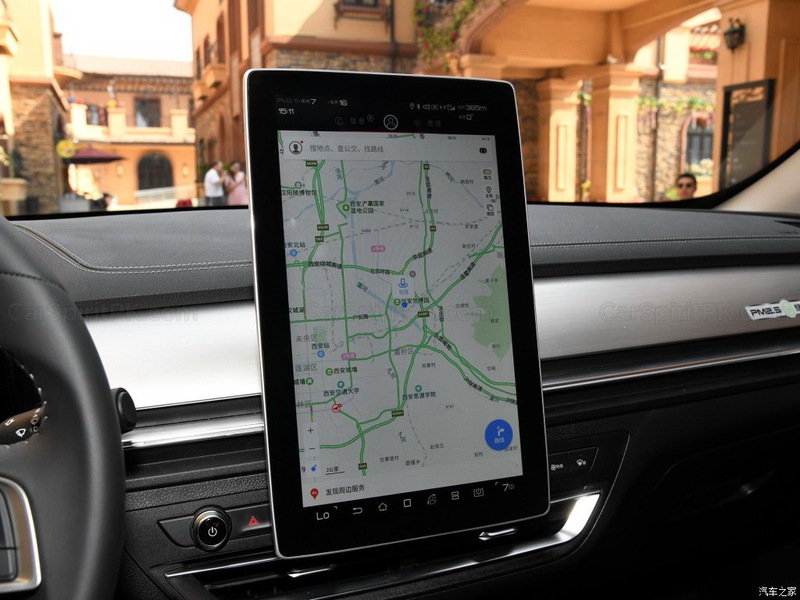 Highlight of the interior is the enormous touch screen that can be adjusted in portrait as well as landscape orientation whichever desired. 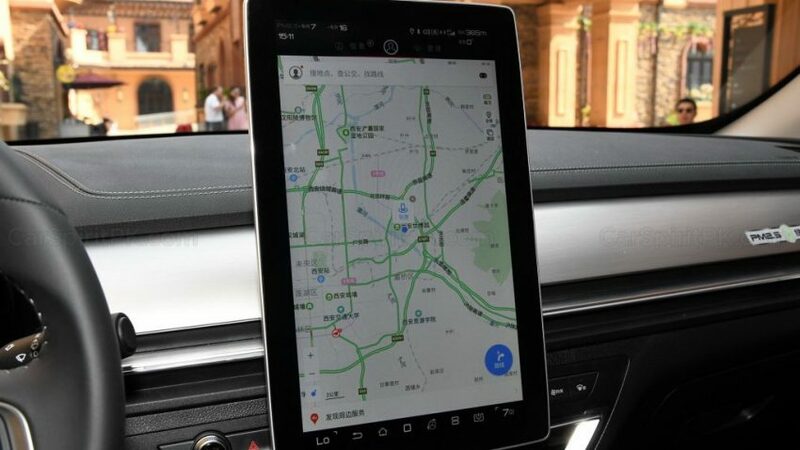 This supports Smartphone pairing functionalities and allows 4G Wi-Fi compatibility, GPS navigation, voice recognition, rear view camera and other useful vehicle functions. Furthermore the meter cluster is an LCD multi info display that gives all sorts of driver & vehicle related information. 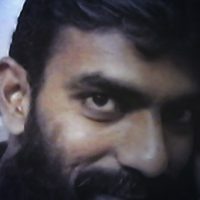 The display is also fully customized and can be adjusted according to personal preferences. Other highlights of the interior includes electrically adjustable seats, rear vents, power sunroof, engine start/ stop feature etc. The BYD Qin Pro measures 4,765 mm in length, 1,837mm in width and 1,500 mm in height and sits on a 2,718mm wheelbase. 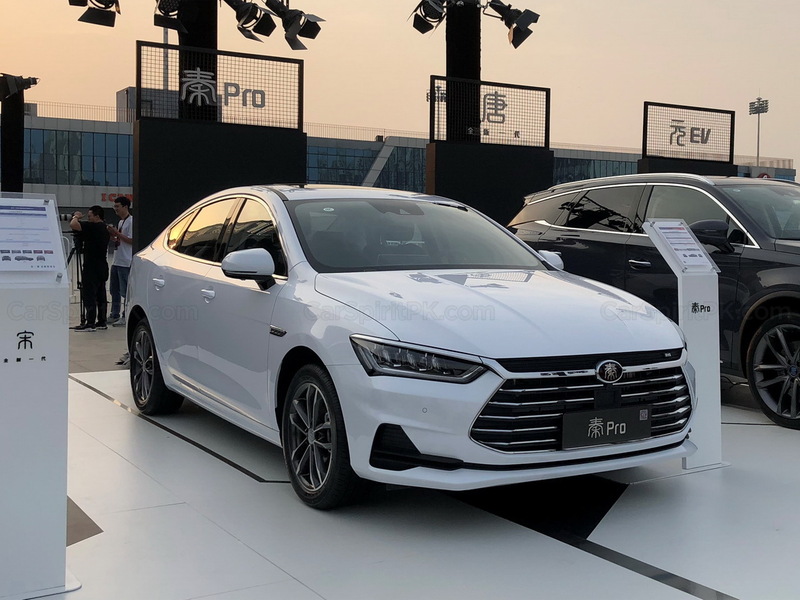 For the sake of comparison the Qin Pro is longer, wider and taller and has an even longer wheelbase than both 11th gen Toyota Corolla and 10th gen Honda Civic in our market. 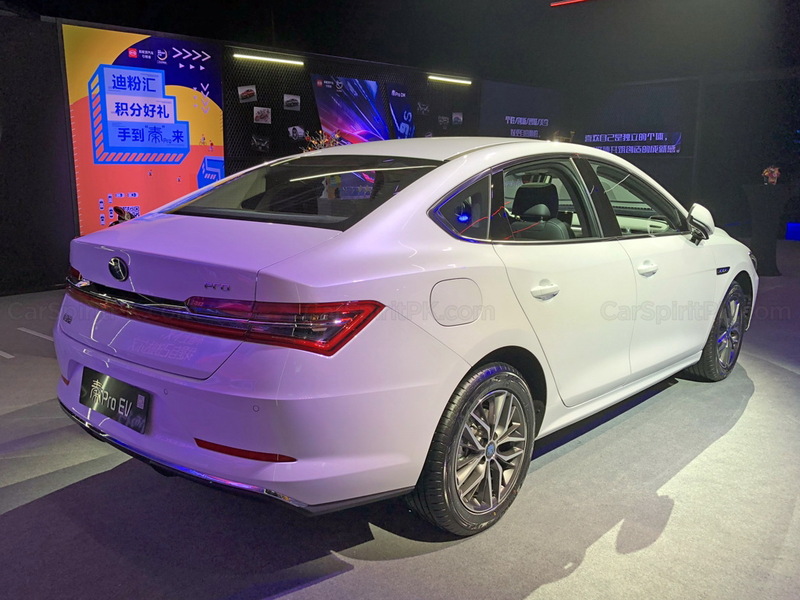 The BYD Qin Pro (ICE) offers a 1.5 liter turbocharged engine with a maximum power output of 154hp, paired to a six-speed dual-clutch transmission. 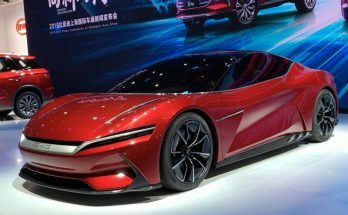 The electric version called the EV500 has a fixed ratio 120 kW motor (163hp), equipped with a 58 kWh battery back, offering driving range between 420 km to 500 km. 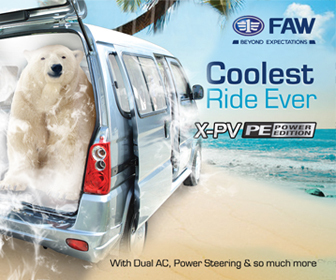 Related: BYD Tang- The 7-seat SUV that will do 0-100 in 4.5 Seconds! 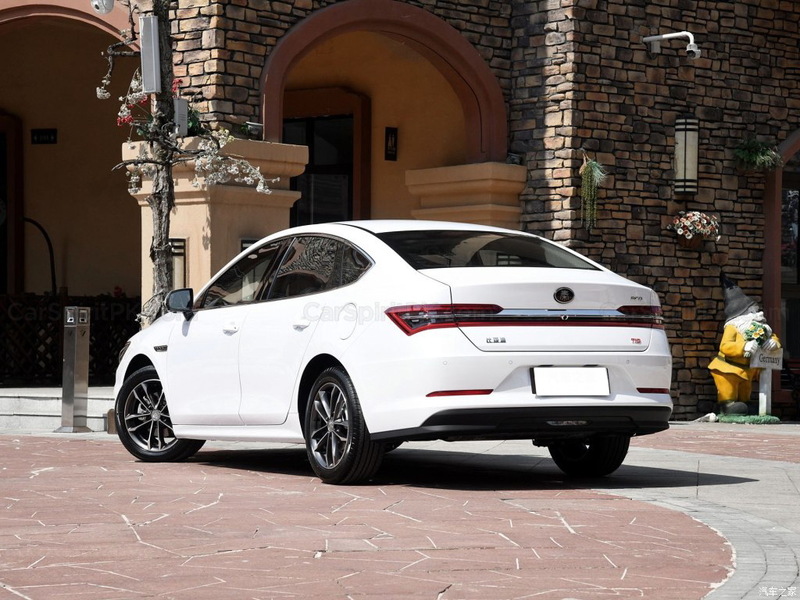 The dual mode PHEV version gets powered by a hybrid system which combines with a 1.5 liter turbo engine and an electric motor, delivering a combined power output of 295hp and a peak torque of 417Nm. It can achieve a top speed of over 200km/h and can sprint from 0-100km/h in just 5.9 seconds. 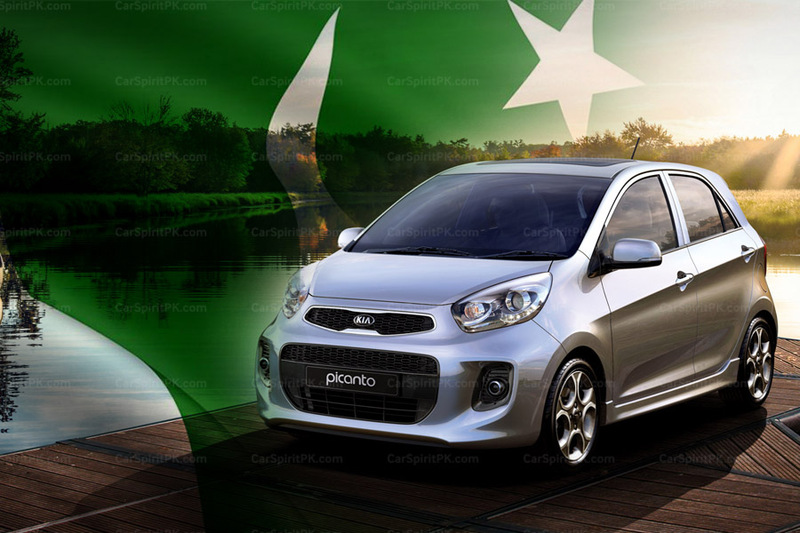 Features will include driver & passenger airbags, ABS with EDB, reversing camera, AEB (autonomous emergency braking), LDW (lane departure warning), electronic parking brakes, multifunction steering wheel, power sunroof, power adjustable seats, engine start/ stop button & smart entry etc. 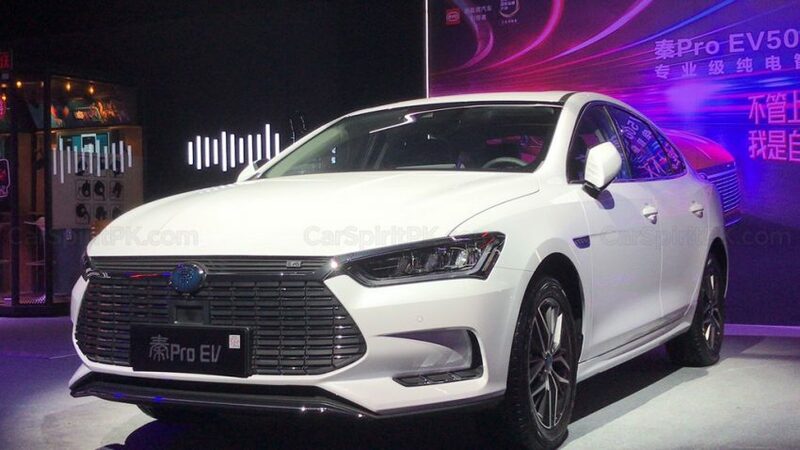 Additionally, some PHEV and EV500 versions will be available as more expensive “Developer Edition” models. 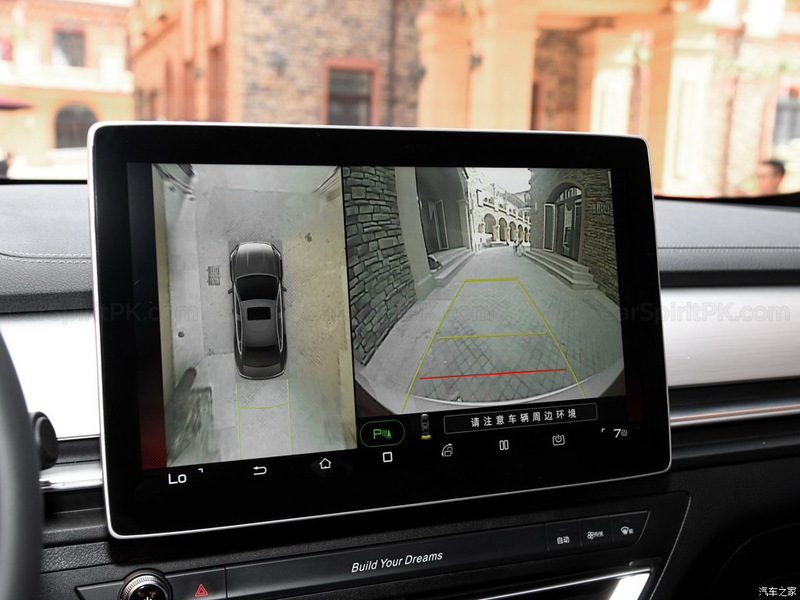 These Qin Pro Developer Edition models will be similar in appearance to the normal version, but equipped with a lot of cameras and sensors to support the automatic driving development platform. 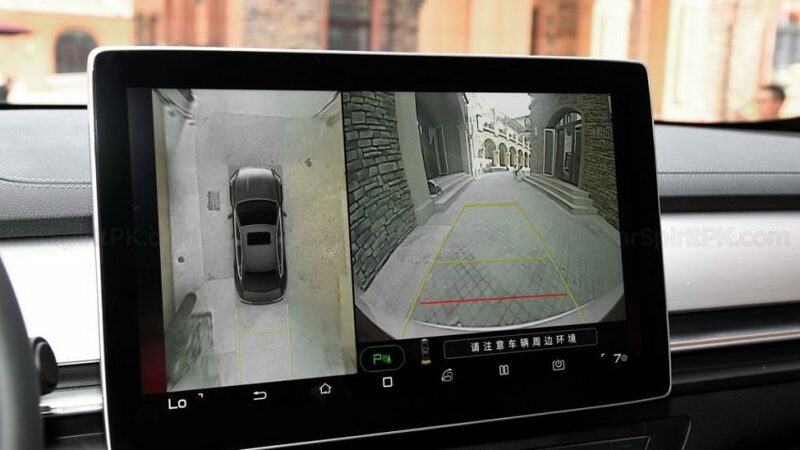 BYD’s intention is to create an ecosystem of automotive applications by opening control of automotive sensors, creating an open development platform for autonomous driving and in-vehicle applications, providing equipment and vehicles for autonomous driving developers. 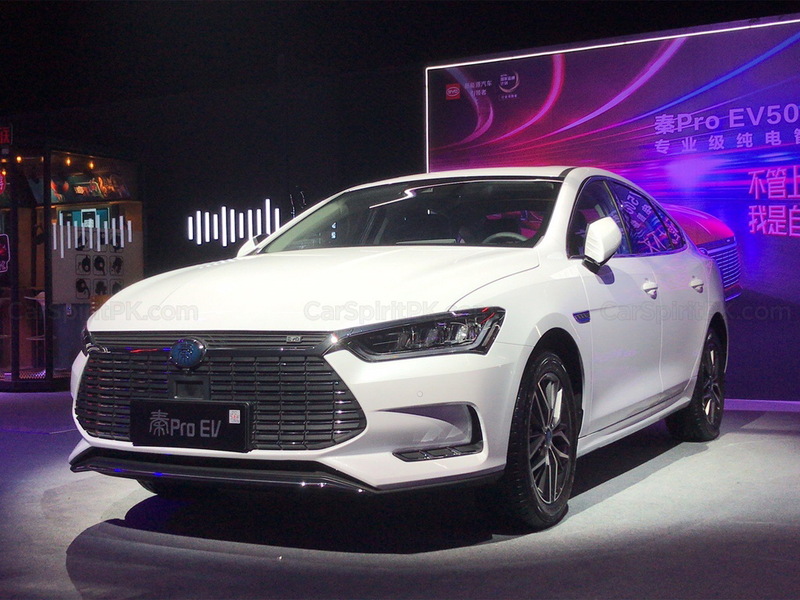 The 2018 BYD Qin Pro ICE comes with 6 trims, with price ranging between 79,800 to 115,800 yuan. Qin Pro DM version comes with 4 versions with prices (after subsidy) between 149,900 to 176,900 yuan. 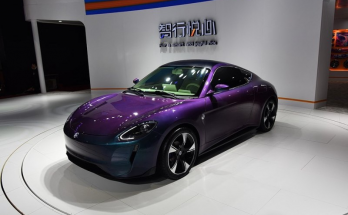 The Qin Pro EV500 comes with 3 versions and its price ranges between 169,900 to 189,900 yuan after subsidy. The priciest Qin Pro Developer Edition with 5 versions costs between 176,900 to 299,900 yuan.